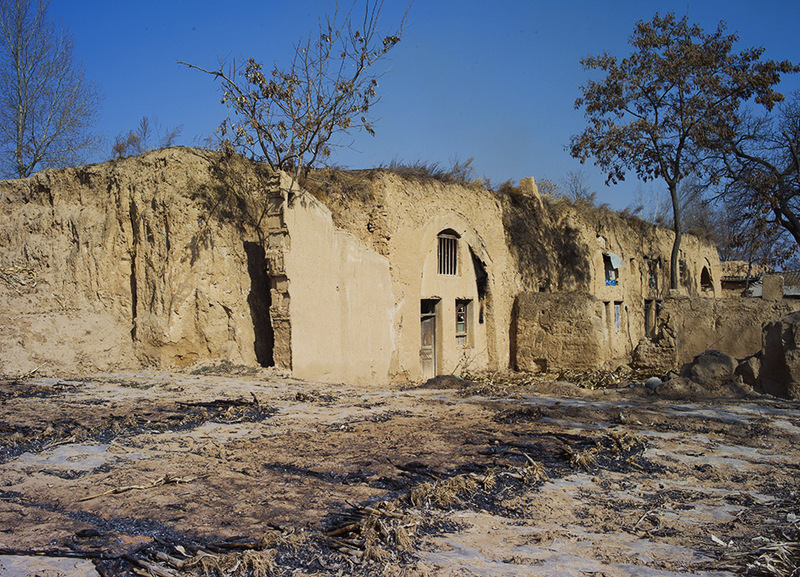 One of the many MEN village cave houses that are still occupied, this one like many of the others also has attached brick and mud built out buildings, usually housing kitchens, animal houses or extra residences for family, son/daughter with their wife/husband and child. 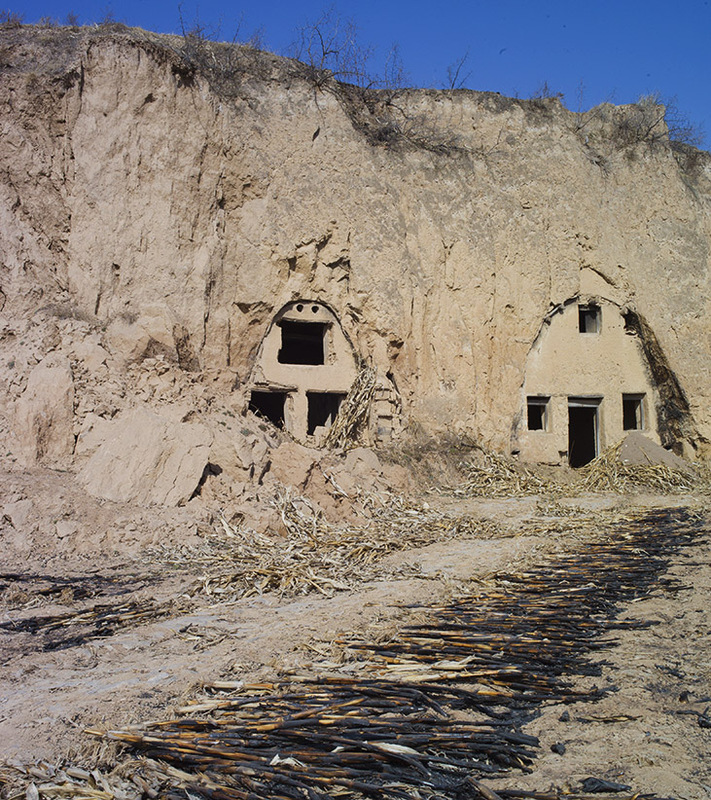 Some of the many cave houses in the MEN village Shaanxi Province China. 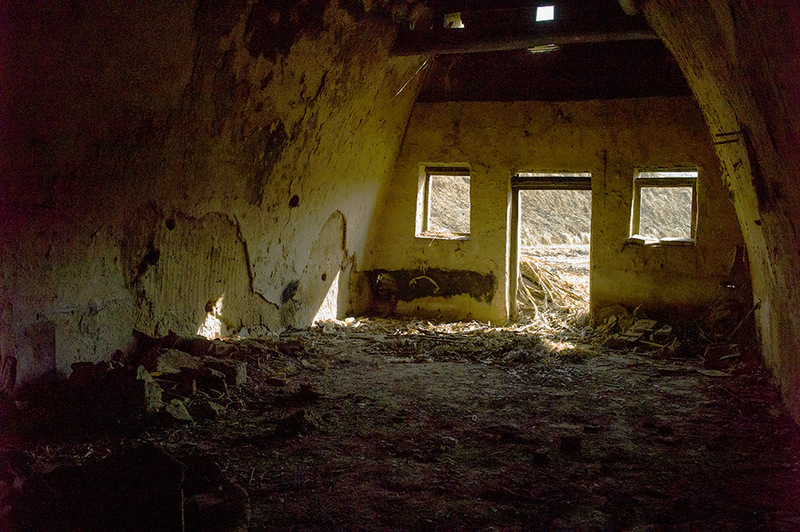 These are no longer used except for storing corn but others are still lived in, I managed to go inside this one and hand hold these interior shots because I had no flash, I hope you like them? 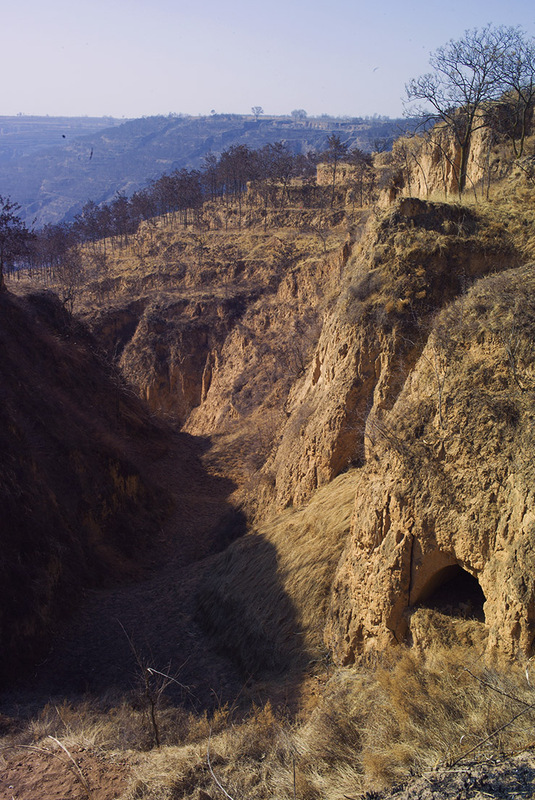 This image was taken the day before the snow came, you can see there are many old cave houses here, some abandoned and some still lived in. 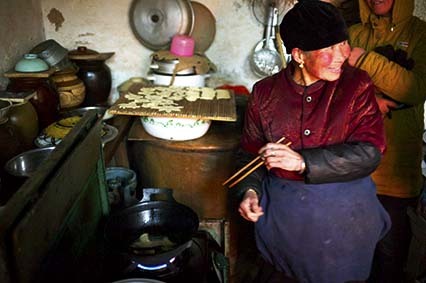 Image taken in the MEN village Shaanxi Province China. 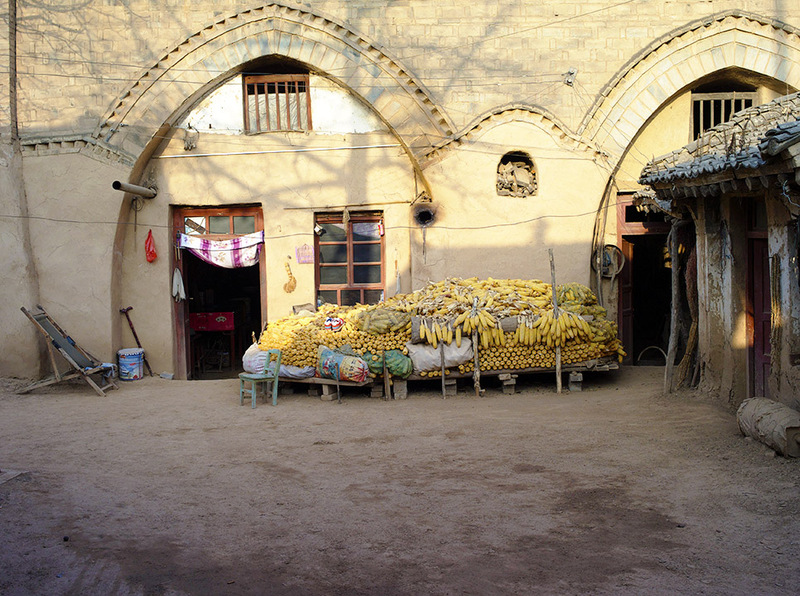 Image taken in the MEN Village, Shaanxi Province China. 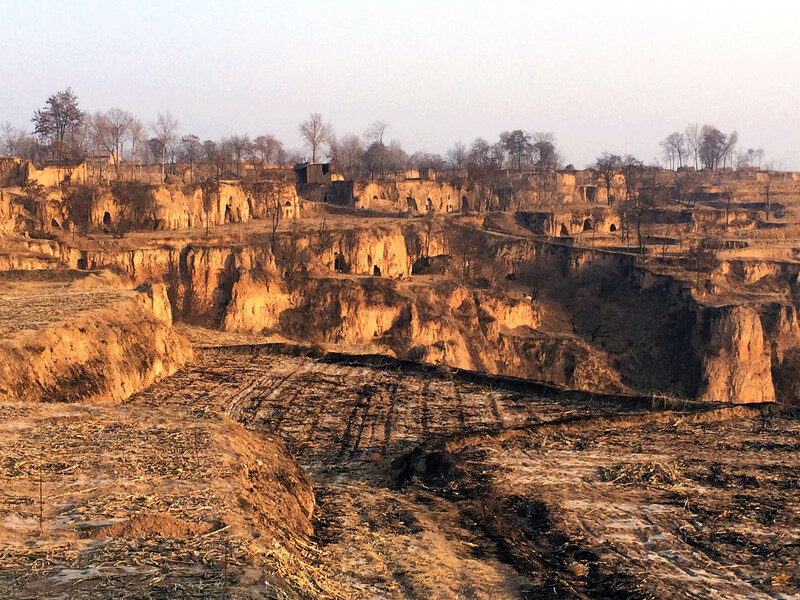 Many of the inhabitants of the MEN Village and surrounding villages still live in Cave Houses, these caves are cut out from the sandstone rock face, the rooms are incredible, warm in the freezing cold winter and cool in the blisteringly hot summers. 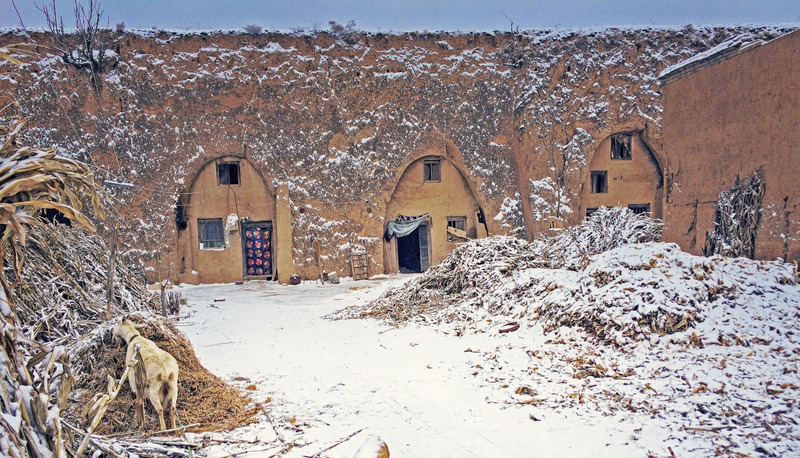 Many have more than one room with beds made out of stone and mud/concrete that have a active fire below which is fed with corn husks and kindling from the outside of the building, these beds act as a gathering point for the family and kept alive 24×7 in the wintertime. 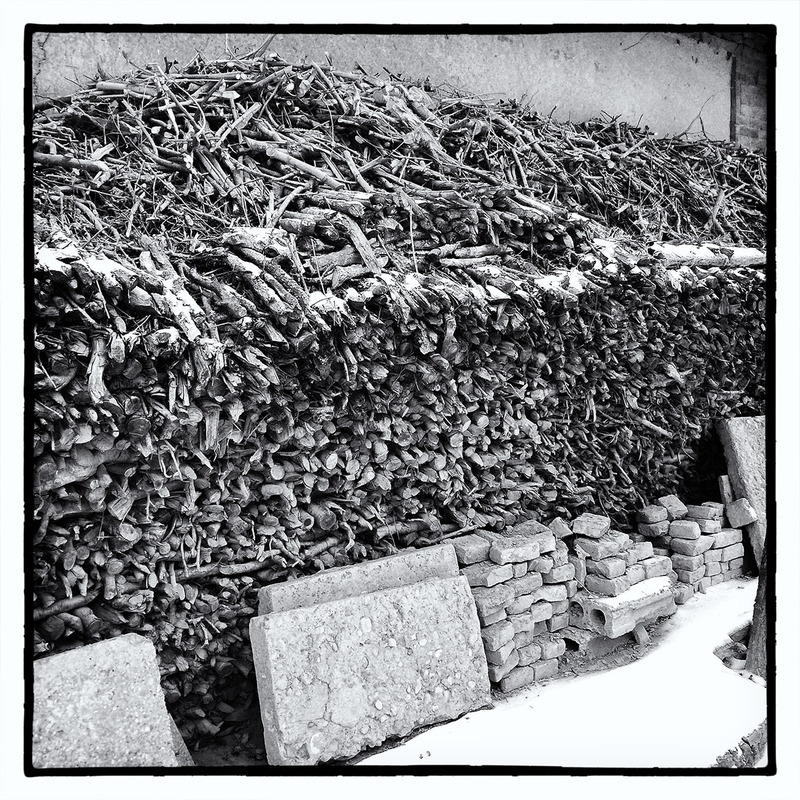 Row upon Row of kindling to get the family through the winter. 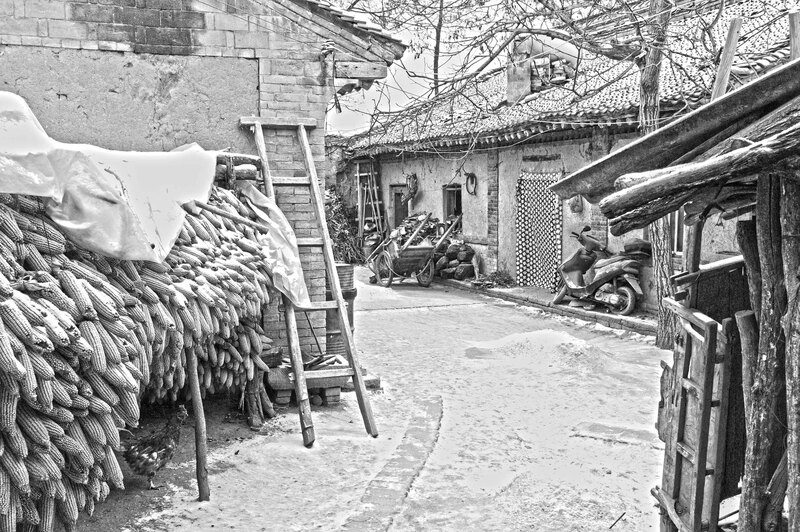 Image taken in the MEN village, Shaanxi Province China. 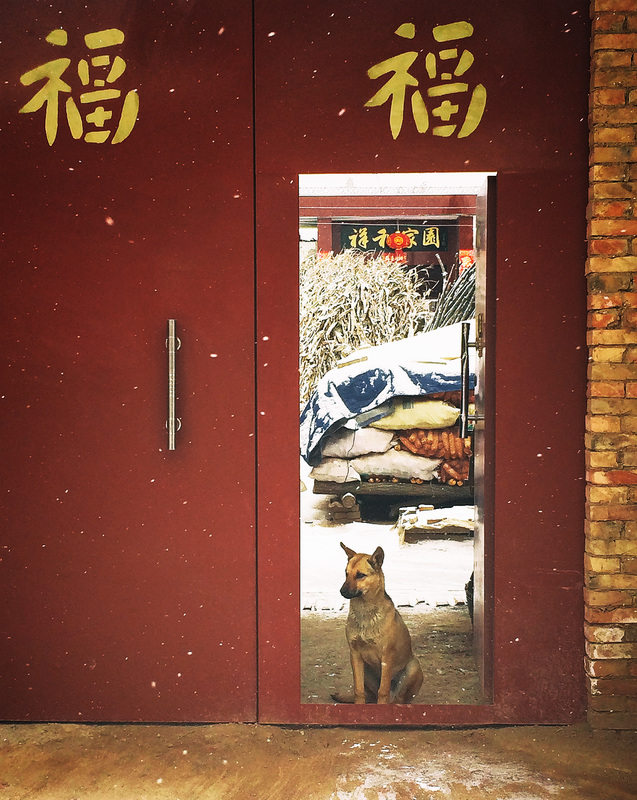 A picture in colour!…Surprised are you?…It’s been a while since I posted any images in colour but this image spoke to me in colour, the gold Chinese characters ‘Fu’ 福 which mean ‘Long Life’ against the dark red of the doors, the whiteness of the snow falling softly before the camera, the colour of the dog on guard at the gate matching the colours of the bricks and the corn stored inside the compound all screamed out colour, so here you go another image taken on the walks around the MEN village, Shaanxi Province China. 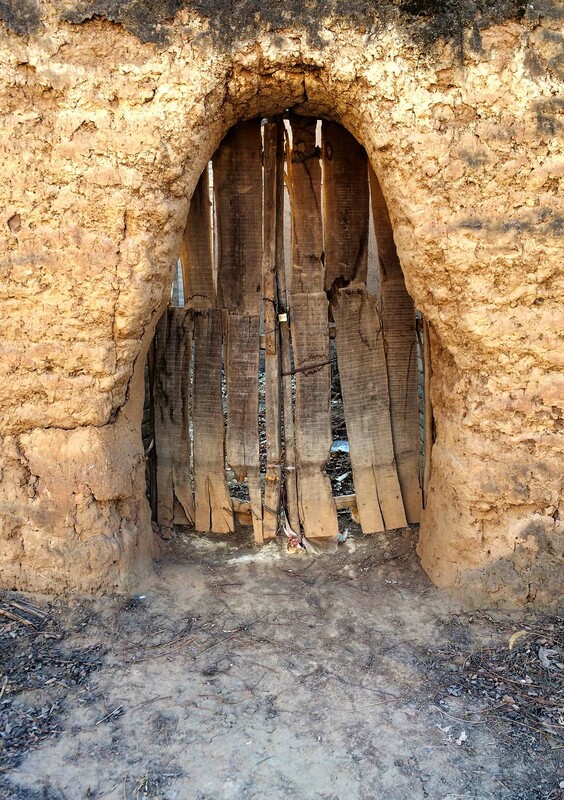 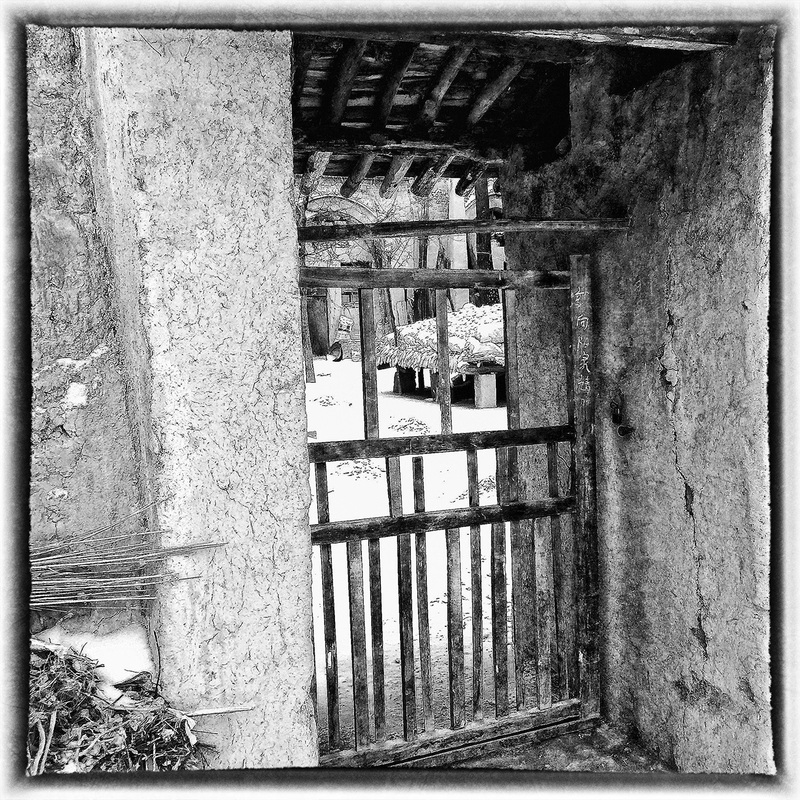 I loved this old wooden gate attached to the mud rammed walls surrounding this village house, traditional methods of building are still going strong after thousands of years in the MEN Village, Shaanxi Province China. 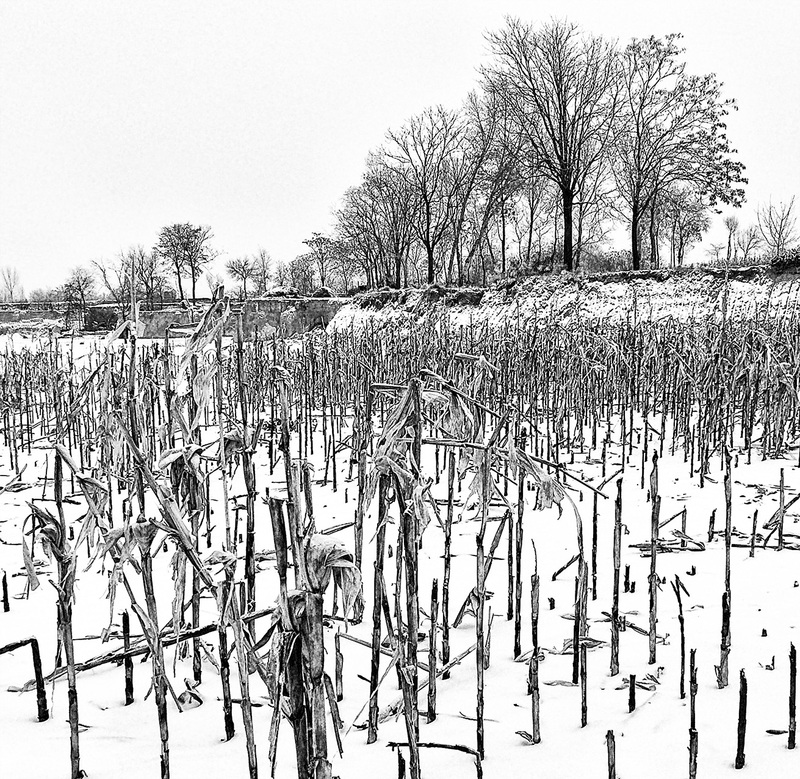 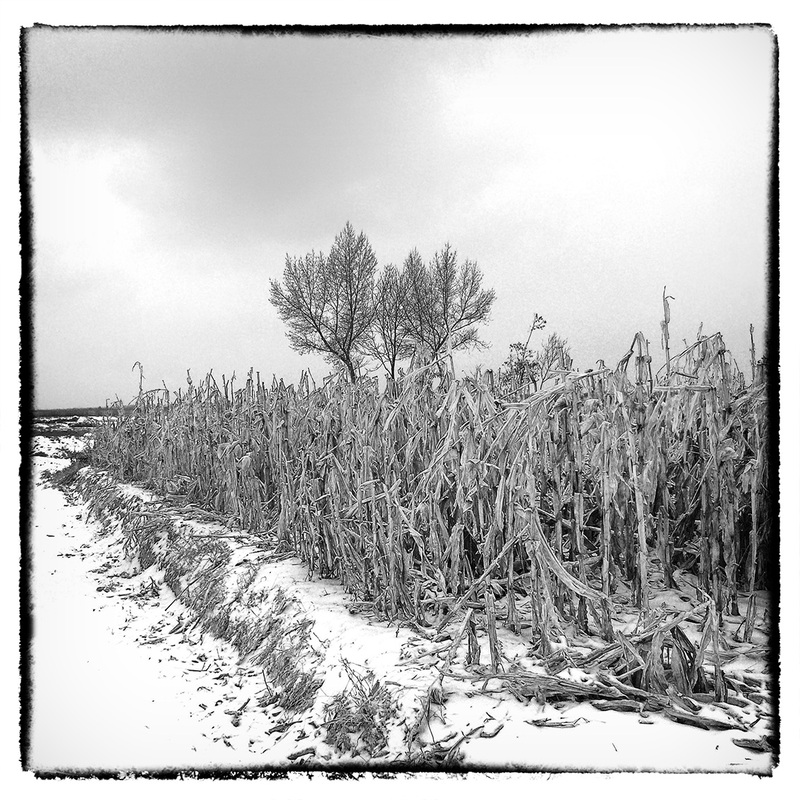 I just love taking a sneak peak inside these gates to see what lies in wait for my eyes, in this case neatly stacked corn under a layer of snow waiting for warmer drier days. 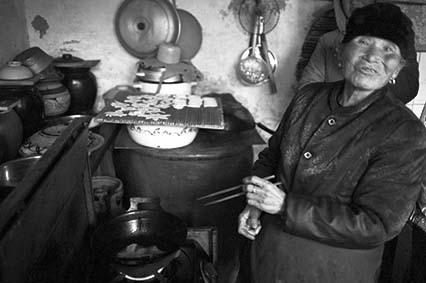 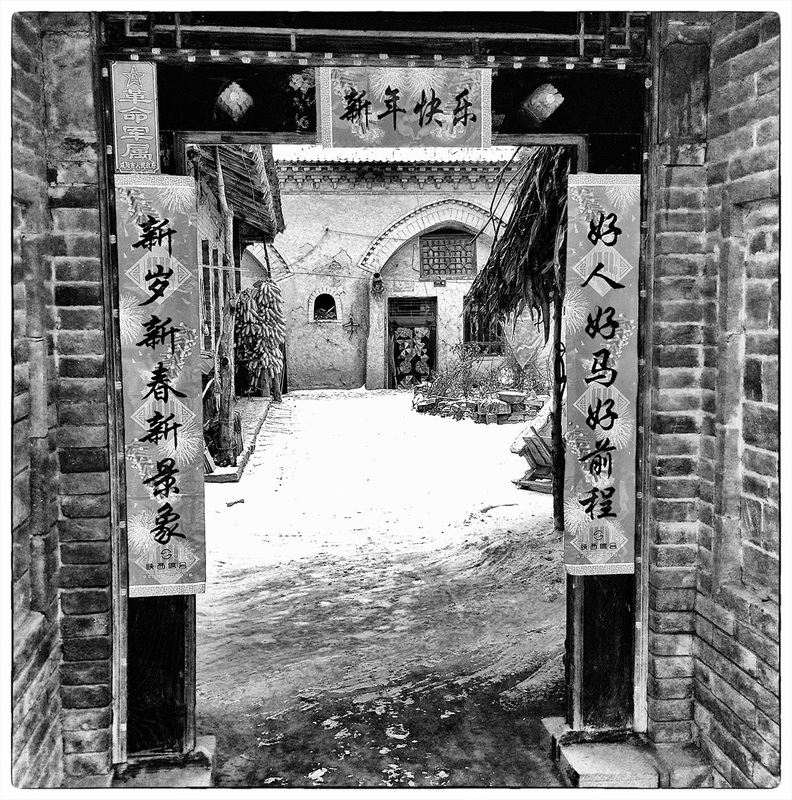 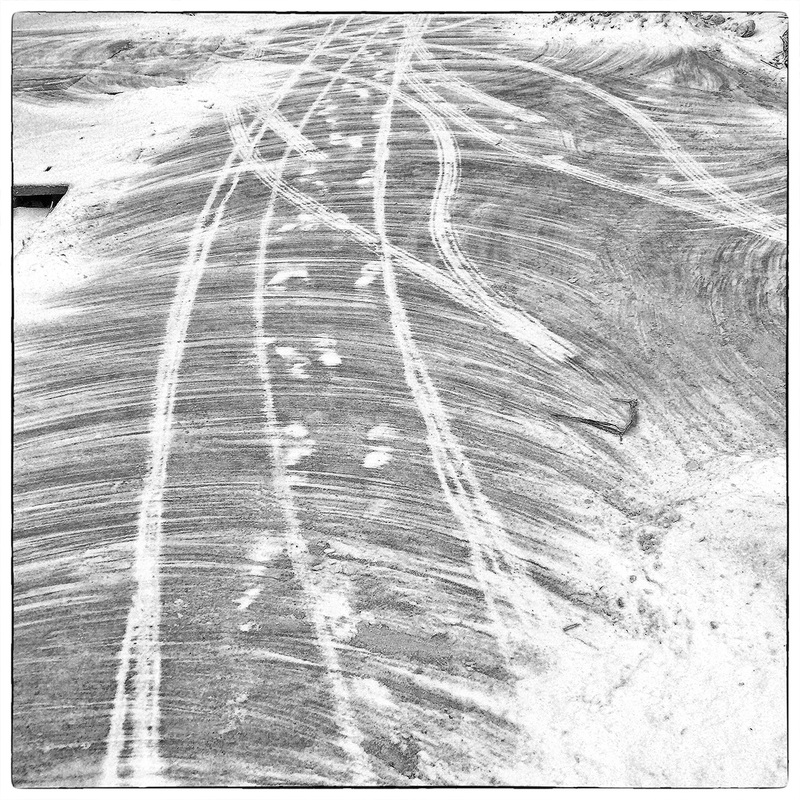 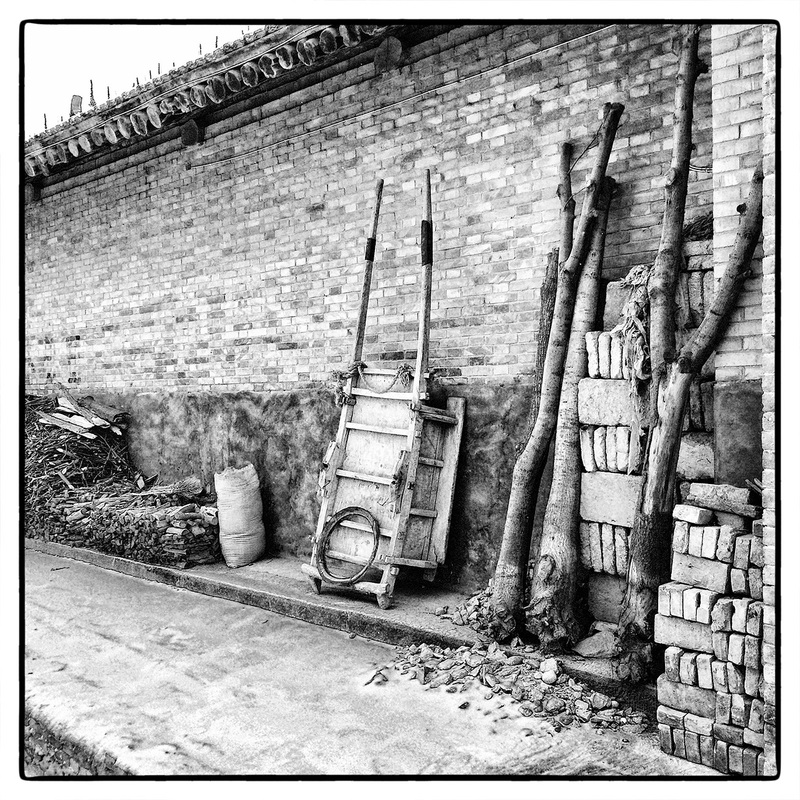 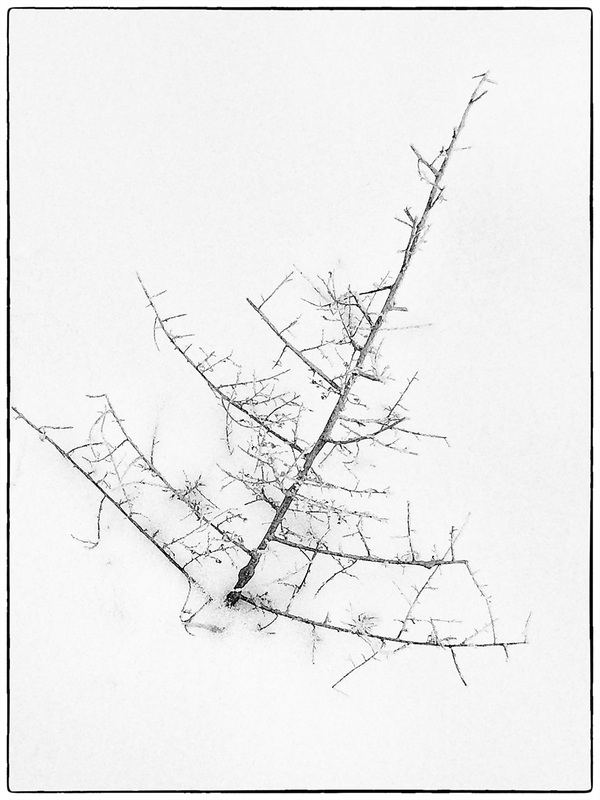 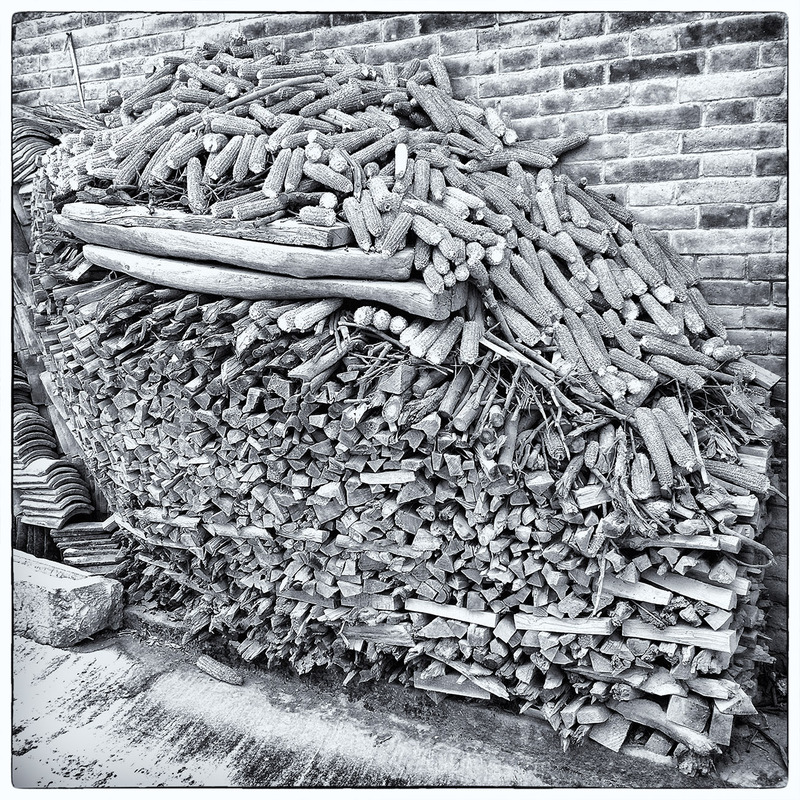 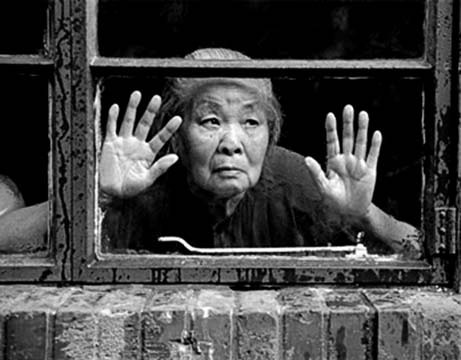 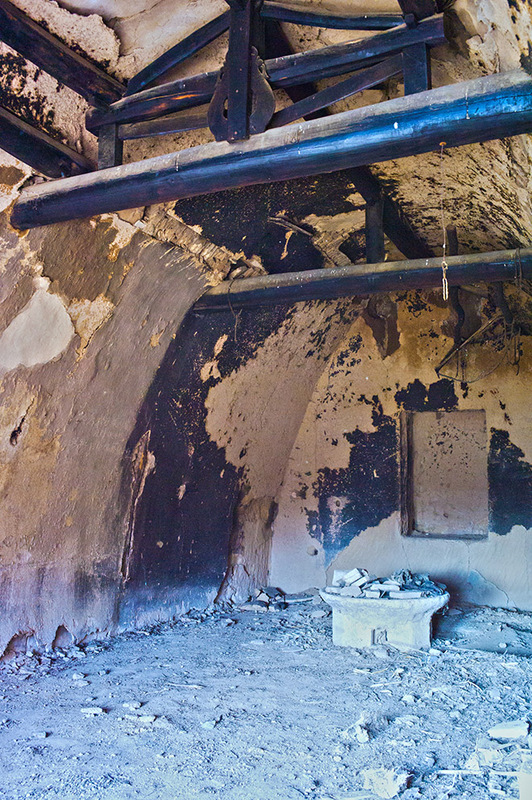 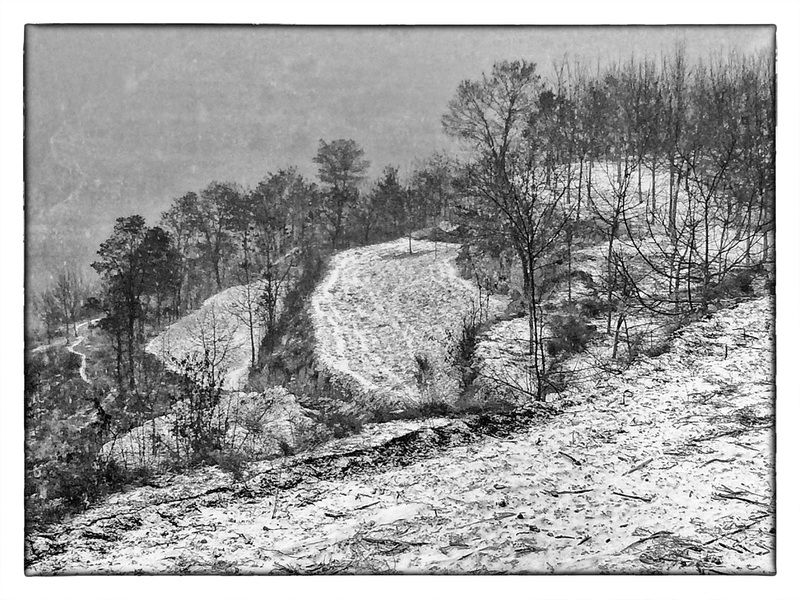 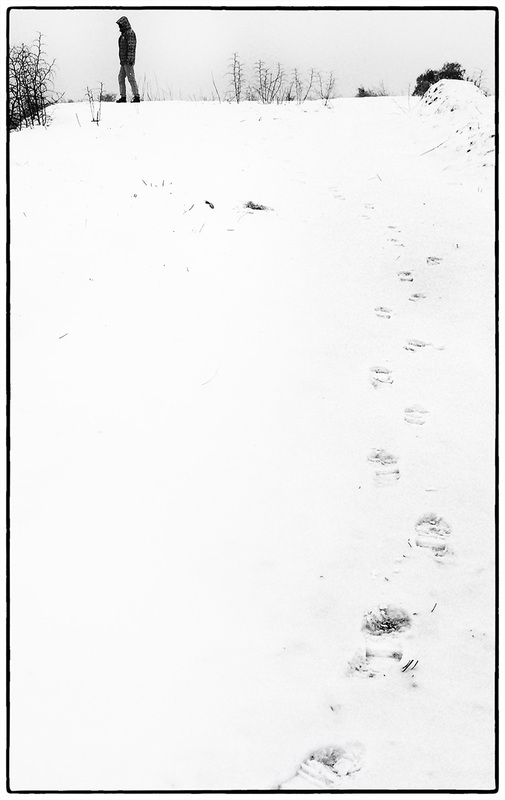 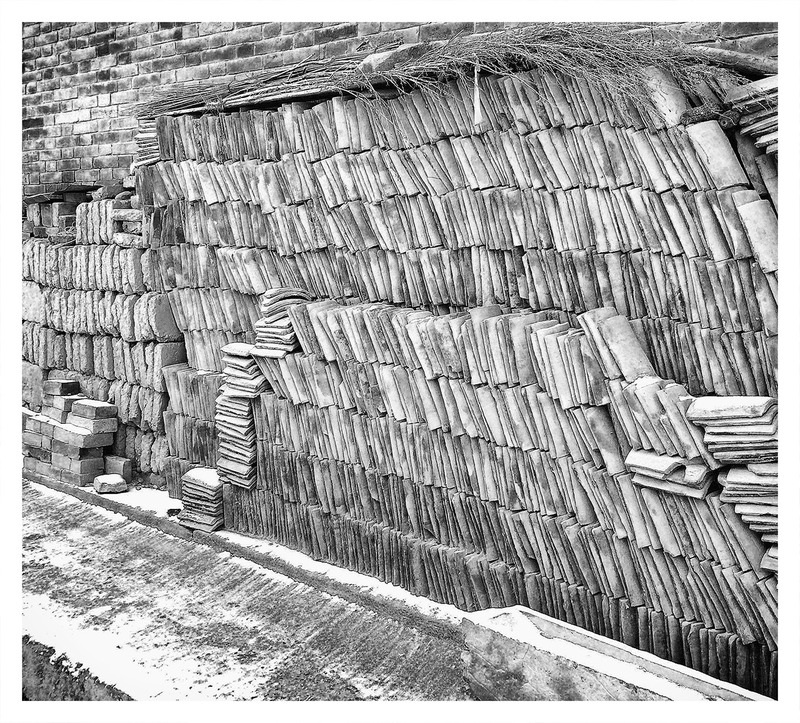 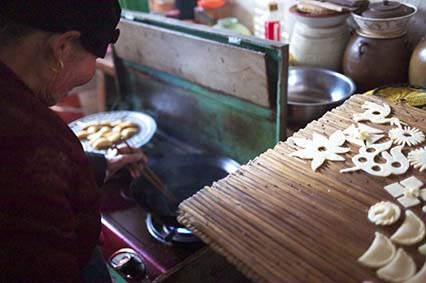 This image is part of a set from the MEN Village, Shaanxi Provice China. 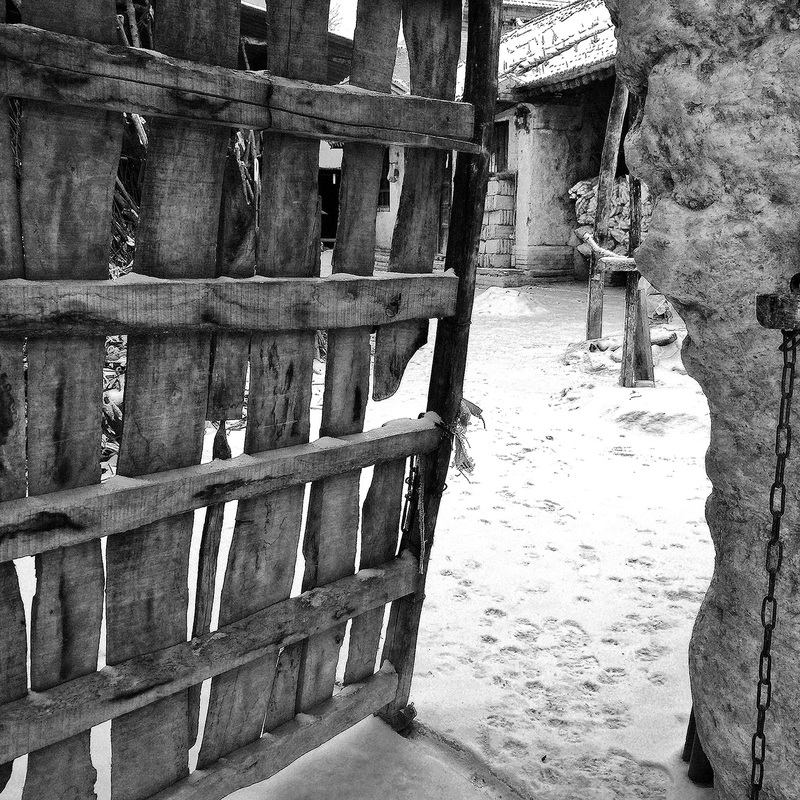 The entrance to one of the village homes, all houses have entrance gates like this one and usually a courtyard before entering the main house. 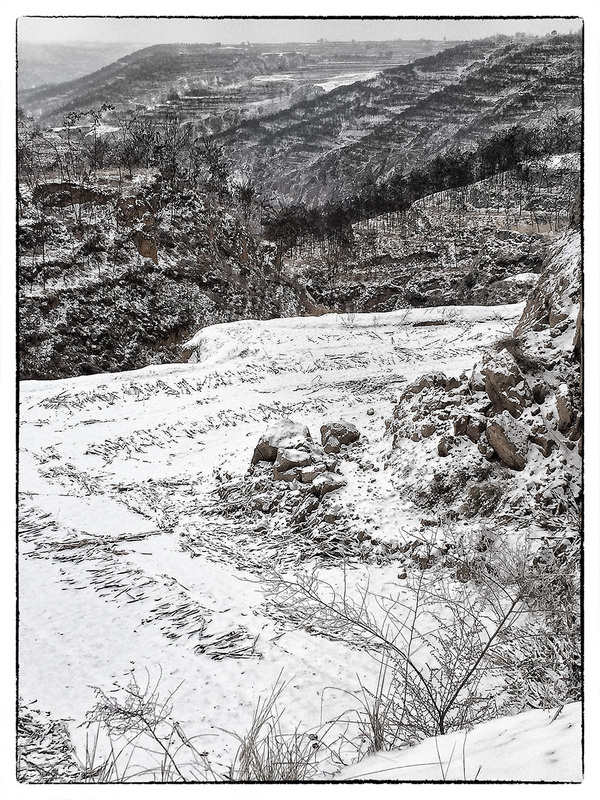 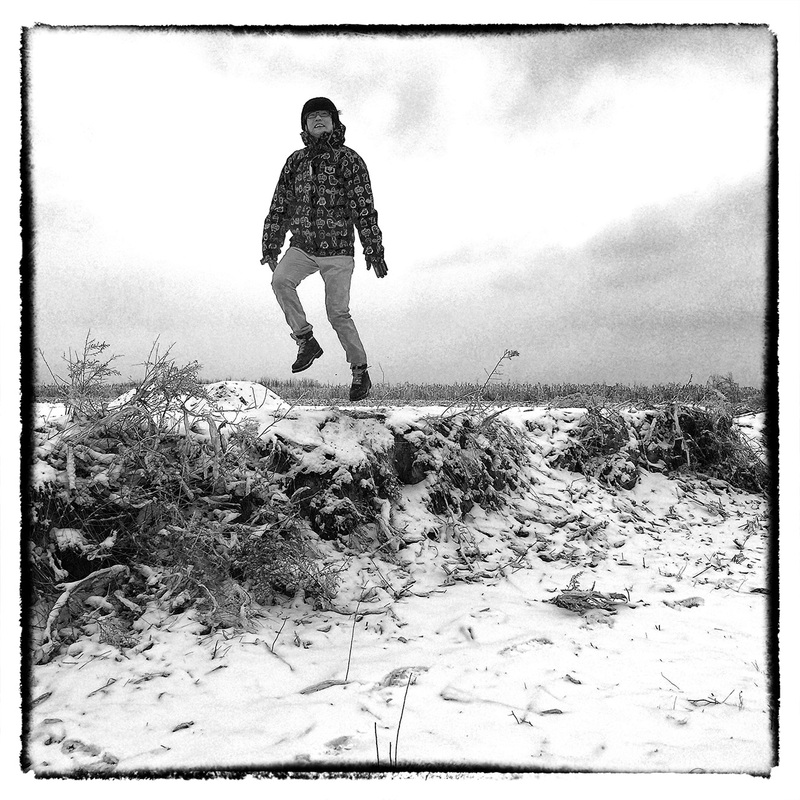 My wife May levitating above the fields surrounding the MEN Village, Shaanxi Province China. 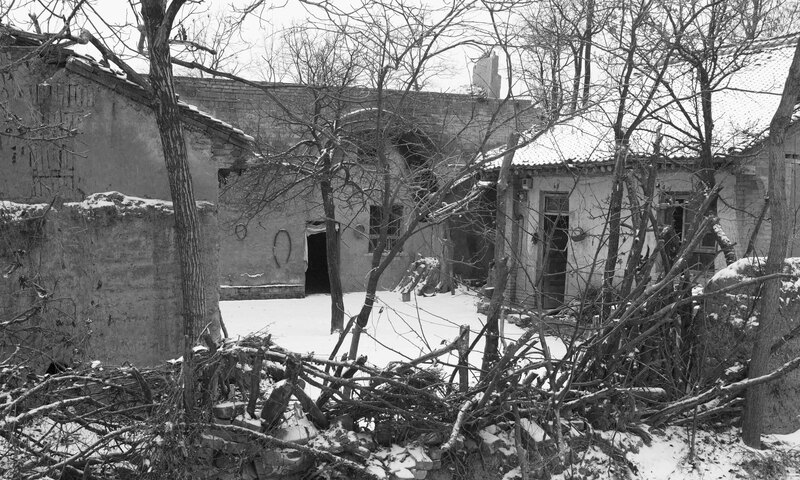 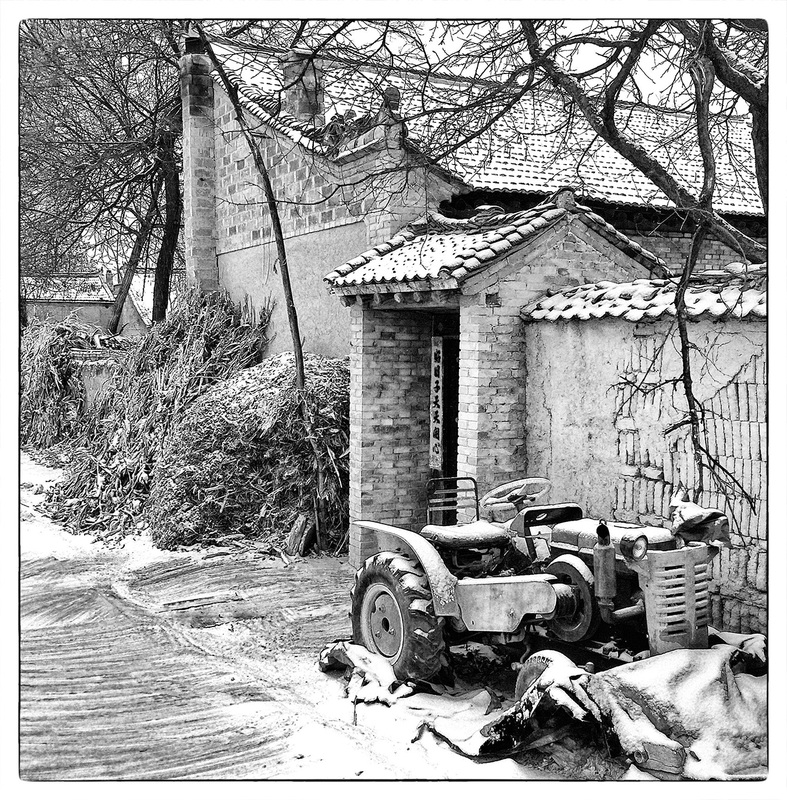 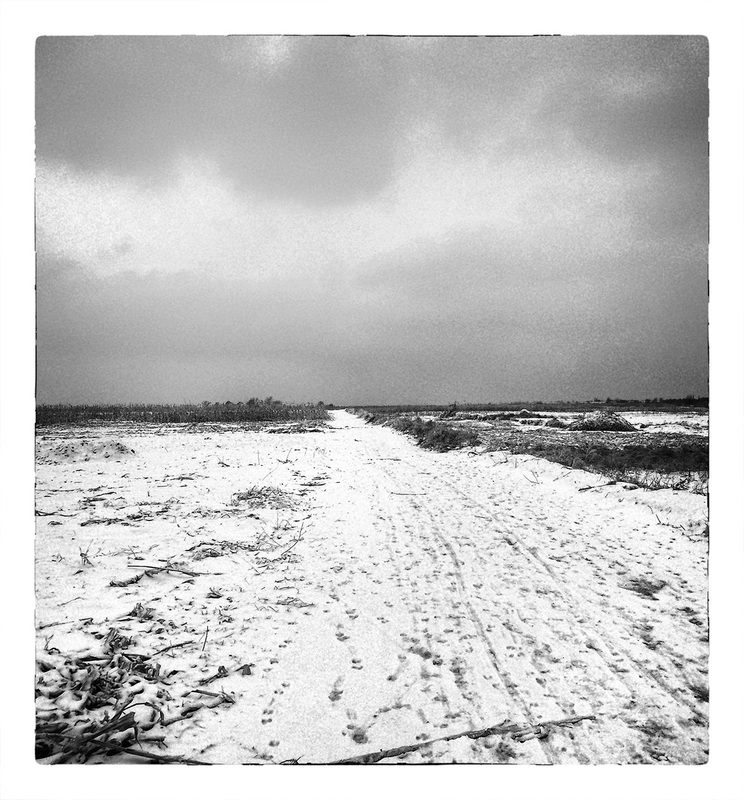 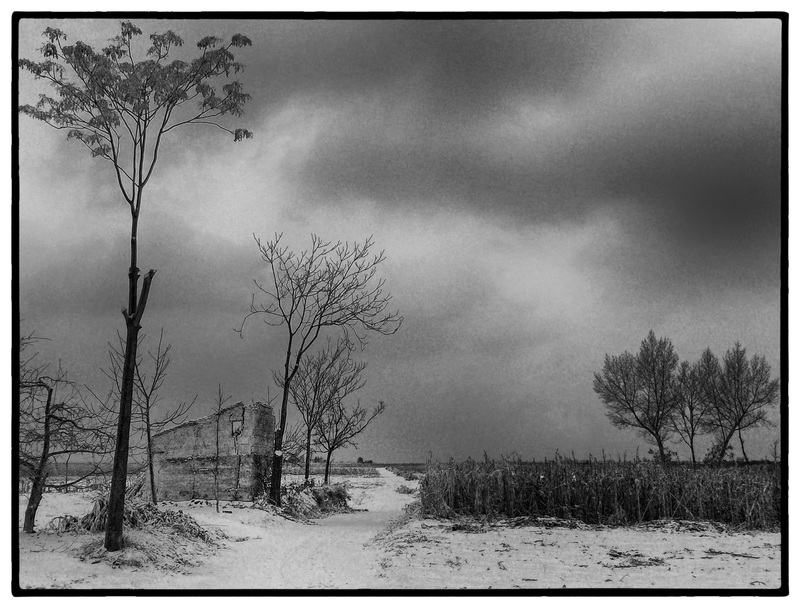 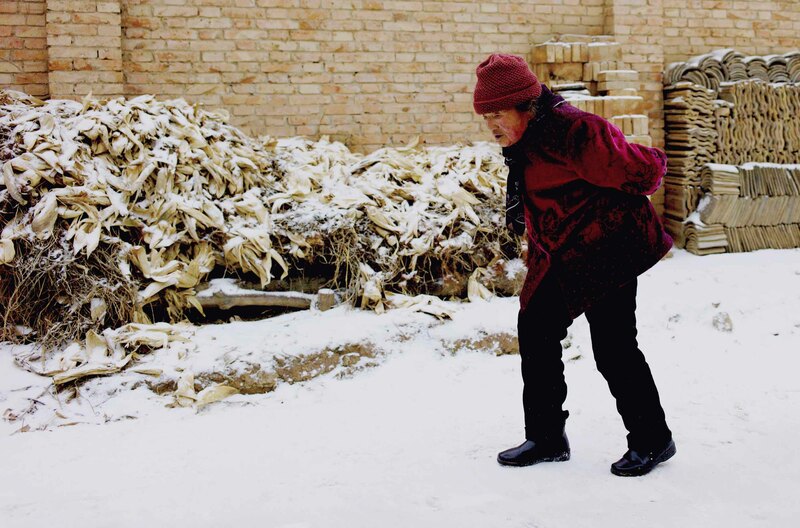 Continuing on our walk through the fields of the Men Village, Shaanxi Province China on a cold winters day.